What is Digital Marketing for Haunts? Digital Marketing… could possibly be a term you’re heard thrown around, have possibly even paid for but don’t fully understand what it actually entails. It can be incredibly frustrating to feel like you’re pouring money into something that you’re not completely comfortable with, and then feel pressured to do in order to keep up with the competition. 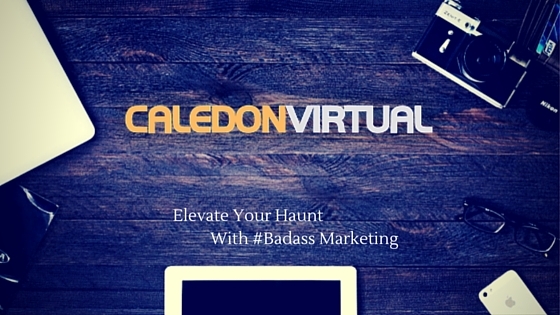 At Caledon Virtual, we can help clear up any confusion while walking you through the digital marketing process, so you are in control of what happens and know where your money is going. Digital Marketing is a method of bringing in customers using tactics that utilize the Internet in a way that will reach out and grab their attention, ensuring that they choose your business over others. Having a strong digital presence is detrimental to standing out among the crowd and proves time, and time again to be worth the investment. The business with the strongest digital presence will also have the highest profits. Re-targeting, PPC, Social Media, SEO may all sound familiar, you may have even seen them on some of your invoices. Even If different companies are used to provide these services, they fall under a marketing technique called “inbound marketing strategy.” Customers love when you can predict what they want, before they ask for it. As everyone is always craving to see the next “big” thing, your inbound strategy and digital presence could elevate your haunt from a tiny squeak to a petrifying howl. Using several different components to make up your inbound strategy will definitely make your digital presence stronger and longer lasting. 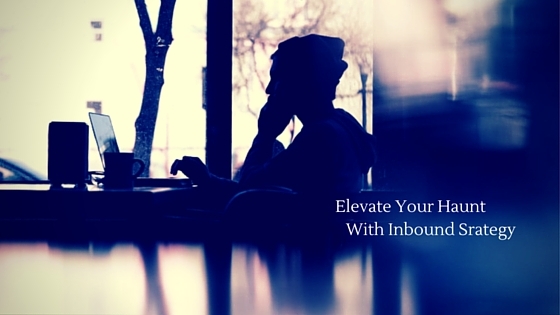 A magnetic website is the top priority when utilizing inbound marketing strategy. It needs to be easy to navigate, pleasing to the eye, and memorable. Your marketing efforts will start and end here. If the customers likes what they see and the ease with which they can buy your product/tickets, you are guaranteed a repeat customer. The next tactics to utilize, are also the second in the command chain of importance. Re-targeting, Pay-Per-Click, Social Media, and Search Engine Optimization. With all of these things combined into one unit, your inbound marketing strategy gains legs, and will hit the ground running. In this day and age, people spend more time online than they do watching television, or just about any other activity. If you want to communicate and connect with your audience, you will need to develop a winning tactic with your digital strategy. You want your reputation to dominate the competition? You want your haunt to be the most recognizable? Then you invest in your digital strategy and march on to higher profits and notoriety. This is what will elevate your business and develop a loyal customer base. Navigating this to where you aren’t lost in the woods isn’t that tricky if you know the correct path to follow. Using the right on-page SEO auditor to mine information regarding audits, analysis, strategy documents, and other thing in that vein, will form your baseline in which you can being to optimize in a calculated way. This will help you to get closer to discover and dominating the formula that will work best for your haunt. The most successful haunts in the country are using similar formulas and Caledon Virtual can help you dominate your own market. The next newsletters will be a boot camp of what each digital marketing tactic can do for your haunt and how intense they will need to be. Our first obstacle: Search Engine Optimization. SEO is what keeps you afloat in potentially stormy seas. Now the question is, how? The first and most important step is to establish a baseline to which you are currently operating. You likely will have trouble determining where you are going when you don’t know where you are. Your baseline could be in the form of audits, analysis, strategy docs, etc. Once you have established a baseline you can then begin to optimize from your baseline in a calculated way. By doing this you get closer and closer to finding out the formula that works for your haunt. That formula is what the most successful haunts in the country have already figured out. Let’s start uncovering yours today! Over the next few blog posts I will show you what each digital marketing tactic does for your haunt, and at what level of intensity each tactic should be on. If you’re wanting to elevate your haunt and engage your customers and would like help overcoming obstacles, then please contact us today and we will start whipping your digital marketing strategy into top shape.